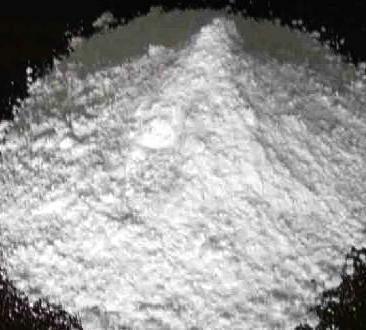 You may better import Calcium Oxide from India. Quick Lime, when freshly ignited to constant weight, contains not less than 95.0 percent of CaO, Calcium Oxide. A: Moisten it with water: heat is generated, and a white powder is obtained (calcium hydroxide or slaked lime). Mix the powder with 3 or 4 times its weight of water: a smooth magma of lime forms that is alkaline to litmus. B: Slake 1 g of Lime or Calcium Oxide with 20 mL of water, and add 6 N acetic acid until the lime is dissolved: the resulting solution responds to the test for Calcium. Loss on ignition: Ignite a portion of Quick Lime or Calcium Oxide to constant weight in a tarred platinum crucible at 1100 ± 50 C it loses not more than 10.0% of its weight. Insoluble substances: Slake 5.0 g of Quick Lime or Calcium Oxide, then mix with 100 mL of water, followed by hydrochloric acid, drop wise, with agitation, until solution takes place: the resulting solution after boiling and cooling is acid, and when filtered through a tarred crucible, washed with water until free of chlorides, and dried at 105 for 1 hour yields not more than 50 mg of insoluble substances (1.0%). Carbonate: Slake 1 g, mix with 50 mL of water, and decant the greater portion of the milky liquid: the addition of an excess of 3 N hydrochloric acid to the residue does not cause more than a slight effervescence. 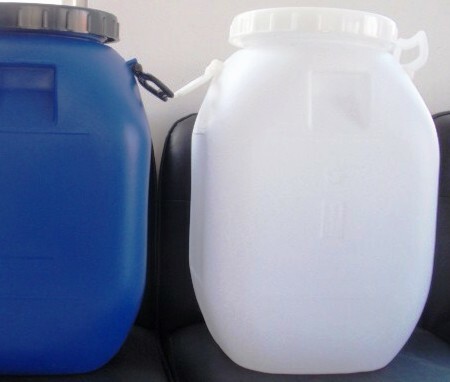 Magnesium and alkali salts: Dissolve 500 mg in 30 mL of water and 15 mL of 3 N hydrochloric acid. Neutralize the solution with 6 N ammonium hydroxide, heat to boiling, and add ammonium oxalate TS to precipitate the calcium completely. Heat the mixture on a steam bath for 1 hour, cool, dilute with water to 100 mL, mix, and filter. To 50 mL of the filtrate add 0.5 mL of sulfuric acid, evaporate to dryness, and ignite in a tarred platinum crucible to constant weight. The weight of the residue does not exceed 9 mg.
Quick Lime or Calcium Oxide occurs as hard, white or gray-white masses or granules, or as a white to gray-white powder. One gram dissolves in about 840 mL of water at 25C and in about 1740 mL of boiling water. It is soluble in glycerin but insoluble in alcohol. 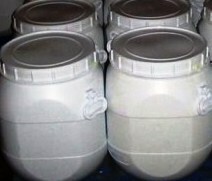 Function: pH control agent; nutrient; dough conditioner; yeast food. Identification: Slake Quick Lime or Calcium Oxide 1 g of sample with 20 mL of water, and add glacial acetic acid until the sample is dissolved. The resulting solution gives positive tests for Calcium. Assay: Not less than 95.0% and not more than 100.5% of CaO (Lime or Calcium Oxide ) after ignition. 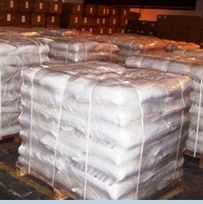 Acid-Insoluble Substances: Not more than 1%. Alkalies or Magnesium: Not more than 3.6%. Fluoride: Not more than 0.015%. Loss on Ignition: Not more than 10.0%.